Four Australians are competing in the Autumn Cup at Lonato, Italy, this weekend. In a massive 107-kart Mini Rok field, Oscar Targett and James Wharton (both JC/Parolin Kart) have qualified 17th and 21st respectively. Cody Maynes-Rutty (PCR/TM) qualified 4th in a 21-kart 60 Mini class, while fellow PCR driver Kyle Henry-Smith was 13th in Super Rok. 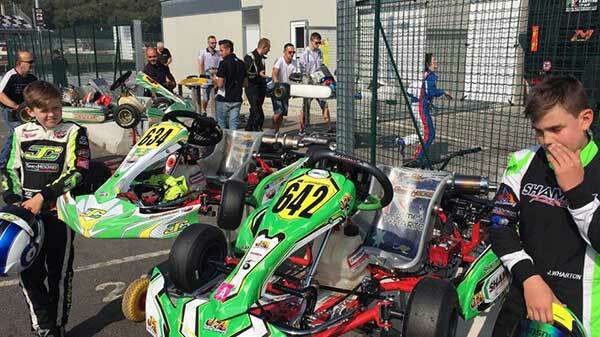 350 DRIVERS IN LONATO FOR THE FINAL OF THE 27TH AUTUMN TROPHY. TOTAL PRESENCE OF 510 DRIVERS IN THE TWO ROUNDS! The final round of the 27th Autumn Trophy scored big numbers. The 350 drivers on track during this weekend made the total number of drivers, including those present at the first round held last October 1st, skyrocket to 510. Finals for national categories and Rok Cup on Sunday October 8th. Lonato del Garda (Brescia, Italy). 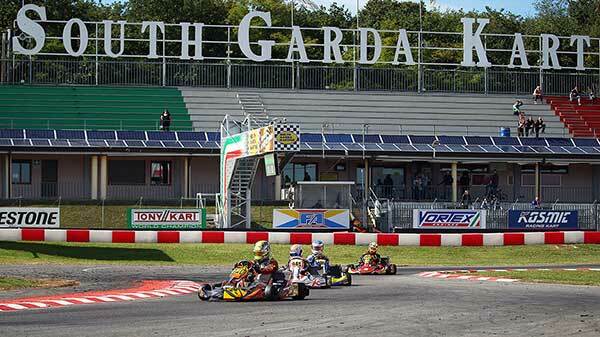 A good record has been just set at the South Garda Karting during the 27th Autumn Trophy, the classic end-season appointment that is about to award the sought after trophies at the end of the finals to be held on Sunday October 8th in Lonato. A total of 350 drivers got on track for this round (which is a new absolute record in Italy for a national race). These added to the 160 drivers present in the first round held on October 1st made the total entries of the 27th edition of the Autumn Trophy skyrocket to level 510. 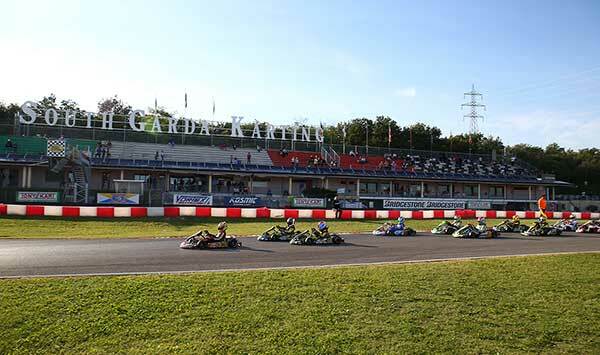 The race is open to the national categories KZ2, KZ3, KZ4, OK-Junior, 60 Mini and Entry Level, and to the Rok Cup categories that contributed to reach this record figures. Lonato will stage the much awaited International Rok Cup Final next Saturday October 14th with 430 drivers coming from all over the world. Qualifying and the first heats for the most crowded categories (Mini Rok 107 drivers, Junior Rok, 56, Senior Rok, 44) ahead of the final of the Autumn Trophy have taken place on Saturday October 7th. Racing action will continue on Sunday October 8th with some further heats for Mini Rok in the morning, while Prefinals will take place at local 11:10. Finals B for Mini Rok, Junior Rok and Senior Rok will begin at 14:00, while Finals A for all categories will follow at 14:50. The prize ceremony will take place at 18:30. Three sons of famous drivers are also present in Mini Rok. Namely, Emo Fittipaldi, who is the son of former F1 champion and Indianapolis 500 winner Emerson Fittipaldi, former F1 driver Jarno Trulli’s son Enzo Trulli and Brando Badoer, the son of former F1 driver Luca Badoer. In qualifying held on Saturday, the quickest time of KZ2 was posted by Giuseppe Palomba (Intrepid-Tm), that of KZ3 Junior by Skeed (Formula K-Vortex), KZ3 Under’s by Riccardo Melas (Sodi-Tm), KZ3 Over’s by Cristian Griggio (Maranello-Tm), KZ4’s by Mauro Moretti (Tony Kart-Tm), OK-Junior’s by Gabriele Minì (Parolin-Iame) and 60 Mini’s by Aleks Jovic (Kosmic-Tm). Regarding Rok categories, the quickest of Mini Rok was the Polish Kacper Sztuka (CRG-Vortex), that of Junior Rok was Leonardo Caglioni (Tony Kart-Vortex), Rok Senior’s was the Polish Szymon Szyszko (Kosmic-Vortex), Super Rok’s was Giuseppe Gaglianò (Tony Kart-Vortex) and Rok Shifter’s was Danilo Albanese (Tony Kart-Vortex). Live Timing, Live Streaming and Results will be available at www.southgardakarting.it.